The internet is expansive, educational, eye-opening…yet it can also be a place where brides, grooms and wedding vendors remain largely unaware of copyright laws. But what exactly is copyright, other than a “c” covered by a circle? To explain copyright we first have to talk about intellectual property. Intellectual property refers to literary and artistic works, designs, symbols, names and images used in commerce. Copyright is one of the ways that intellectual property is protected. According to the ipo.gov.tt website, “…The people who are the creators (of intellectual property) are usually called ‘authors’ even if they are really painters, photographers, writers, artists, composers etc . Copyright laws grant authors and other creators protection for their literary and artistic creations, generally referred to as “works” ” In Trinidad and Tobago, you do not have to register your copyright since copyright protection is automatic. Weddings by nature of their form and format, are often brimming with examples of intellectual property. We can see it in décor and floral design, any written work, performances, choreography, custom invitation design, graphics, specialty signage/art, videography, music and photography, to name a few. Copyright holders have the right to: make copies of their work, distribute or display the work or even make derivative works (e.g. developing a screenplay from a book). In most wedding contracts, the copyright holder either keeps those rights to himself/herself or he/she may do any one or combination of: give some rights away, give all rights away, charge a usage fee, request a link back or request a credit to the creator – all decided through a contract or a license. This is often why couples will find that photographers, for example, protect their photographs (their intellectual property) in certain ways such as: placing a copyright notice on the image, disabling “right click “ online and watermarking images. Based on your contract, you may be entitled to 200 images from your photographer’s unedited image album, which you then choose. The photographer edits your choices and then you get those images in whatever format has been decided upon(based on the contract) – digital or hardcopy, or both, sometimes along with certain rights – for e.g. the right to post on social media. Typically, (unless stated otherwise in the contract) the couple owns the physical photos but not the copyright for them. The unauthorized use of their images (for e.g. using private photos in a commercial way) and written work. Users who crop out watermarks and/or edit or tamper with their images, music, writing or creations. 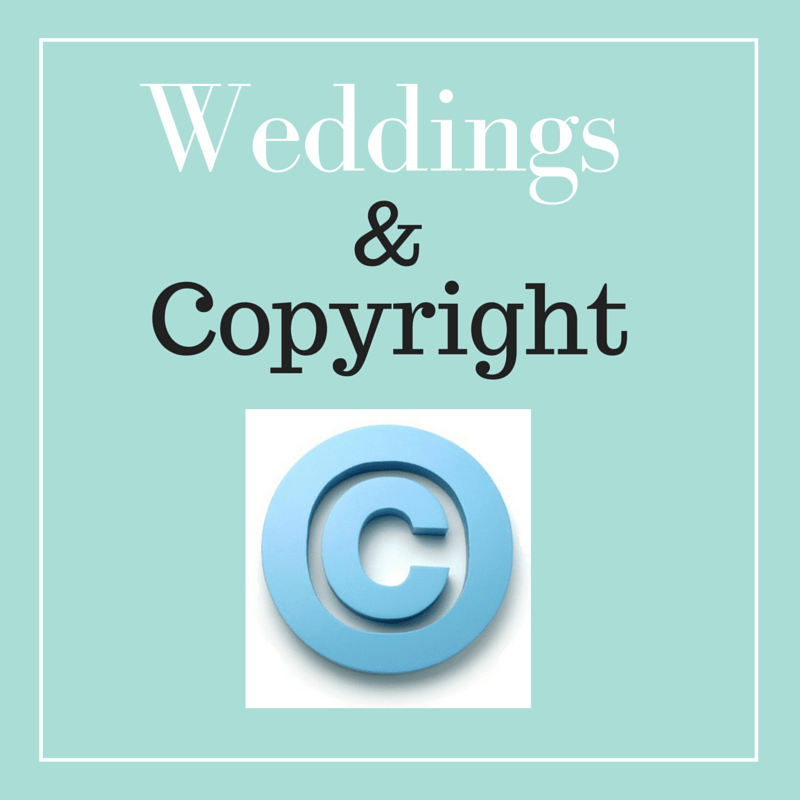 While many people in the industry – (engaged couples, website owners and wedding vendors) may not view this as seriously as others; copyright infringement, especially for the purpose of trade, can open you up to legal action. 2. Finding wedding vendors on a trusted wedding website like www.trinidadweddings.com , which has a proven track record of experience and integrity. 3. Asking whether images featured are the vendor’s actual work or inspiration images. 3. Asking for testimonials, portfolios and client reviews. 5. Talking to wedding vendors’ past clients, if possible.